3041 John Daly Street Inkster, MI. | MLS# 219006831 | The premier resource for all real estate information and services in Metro Detroit. Looking for a spacious well maintained commercial property in the city of Inktser? You found it! It is located in a residential neighborhood. ALL THE BEAUTIFUL FURNITURE AND PICS ARE INCLUDED AND "AS IS". 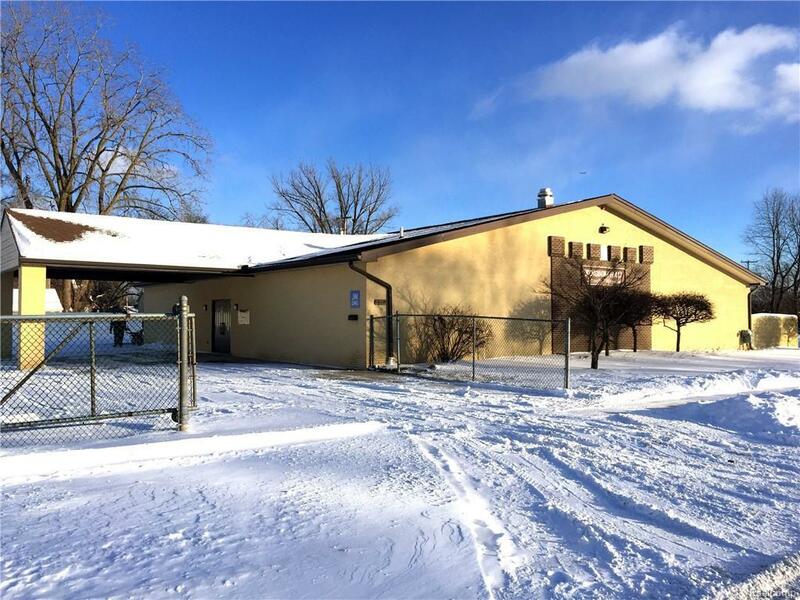 This immaculate 4,900 sq ft building can be utilized in many ways. It sits on a very large lot. It is up to code on everything and has a large paved gated parking lot. The landscaping has been extremely well maintained. It has two large bathrooms, conference rooms, auditorium, heating, cooling and more. It is already wired for cable/internet and an alarm system. All you have to do is bring your vision. ABSOLUTELY NO LAND CONTRACTS OFFERS WILL BE ACCEPTED. NOT AVAILABLE FOR LAND CONTRACT.